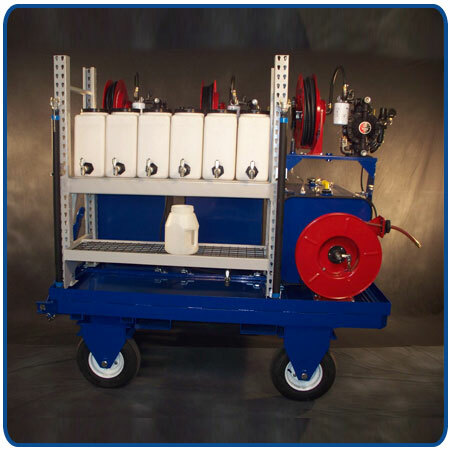 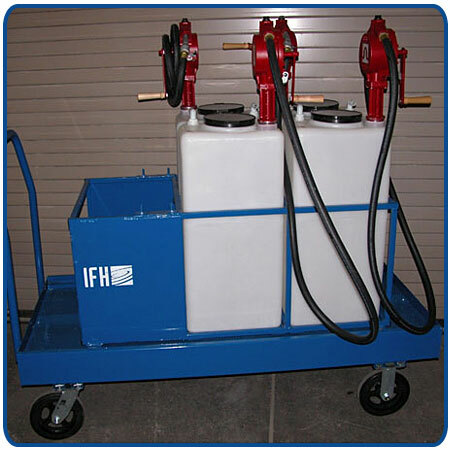 IFH can provide a variety of custom Storage & Dispensing Systems using our new lightweight, economical polyethylene containers, as well as a range of mobile systems using our wide range of lube carts. 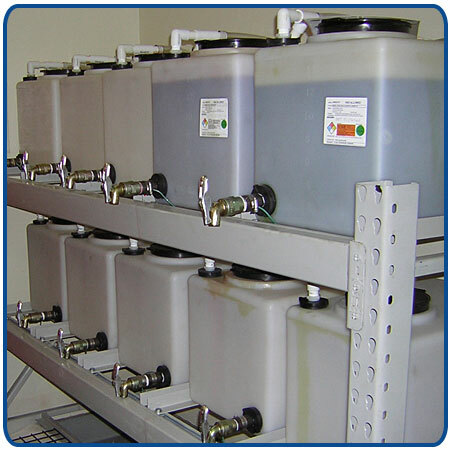 These poly containers are ideal for any caustic material that cannot be stored in a traditional steel container. 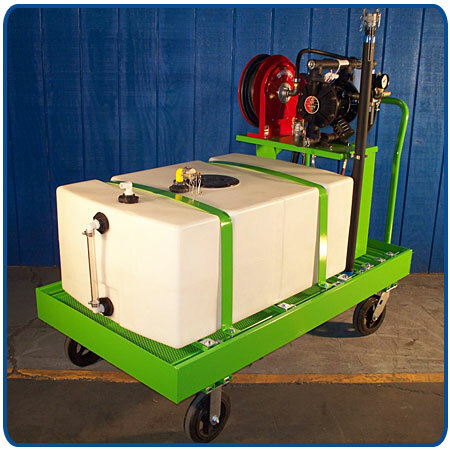 They are also well-suited for smaller operations or for fluids that are not used very frequently. 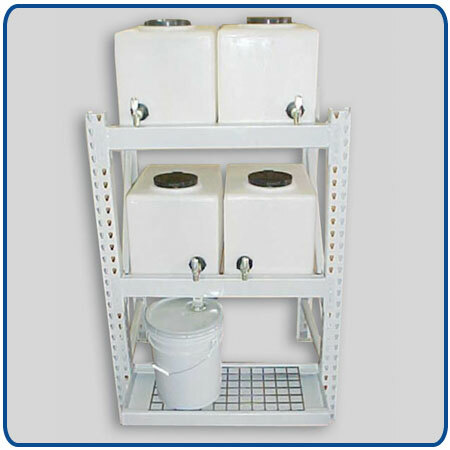 Customized small volume system with 16-gallon poly containers. 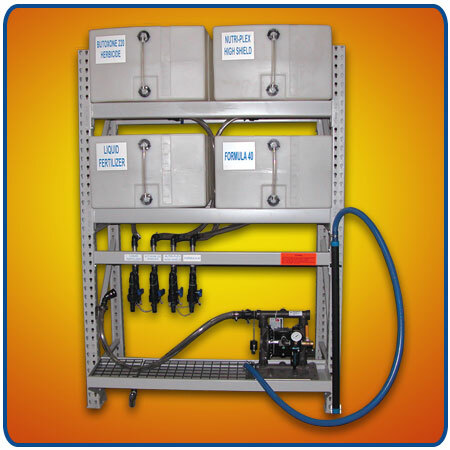 This system employs ten 15-gallon capacity containers to handle less frequently used lubricants in the oil room of a nuclear power plant.